JPG To PDF Windows için tasarlanmış bir JPG den PDF formatına dönüştürme programıdır. 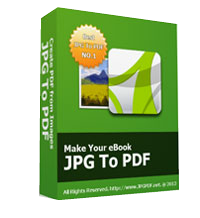 PDF To JPG Converter is a windows utility that quickly converts PDF Files into high quality JPG,BMP,TIF,GIF,PNG Images. 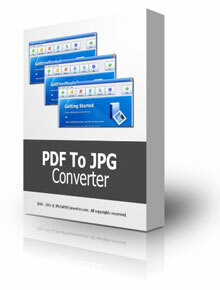 With PDF To JPG Converter users can also convert PDF to JPG in page range, and set the output image DPI. 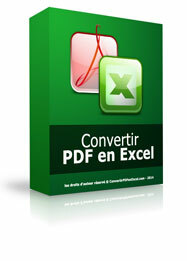 This is a french version of PDF to Excel converter that exports PDF files to MS Excel XLS, CSV or XML. It will extract all text and content from PDF and let users use the data in MS Excel sheets. 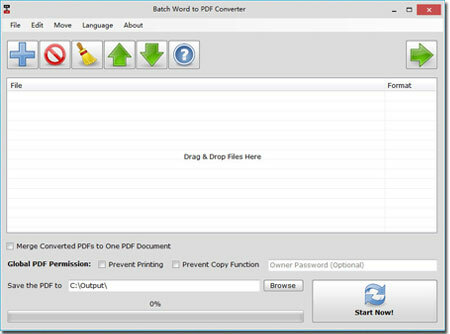 Unlike most common PDF virtual printers, Batch WORD to PDF Converter enables you to convert MS WORD and more formats to PDF documents in bulk directly. 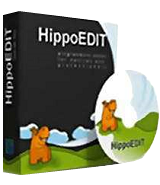 The program also has the unique capability to merge all converted documents into one PDF file. 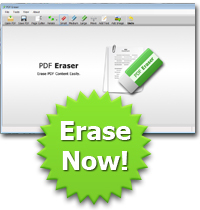 PDF Eraser is a Windows PDF document eraser application that deletes and erases text, images, logos and all unnecessary objects from PDF files. Users can use the program to remove some original content from a PDF file, and then add their text and images. Why on the Earth I would install an extra piece of software for something that Windows can do? And if not Windows, than any recent Office edition or even a PDF software such as Acrobat or Foxit. Print to PDF is a commodity these days. You answered your own question. It is useful of people either don’t have the newest windows office version or someone who wishes to compare it to an existing program or to choose a different or new converter. Have you never changed the program you are currently using to do a process for a new or better program? Do you not occasionally try out a new program for which you have an existing program to see how it handles the intended process? More appropriate, a more useful comment might’ve been how it compares to the existing offerings. I have used CutePDF (free) for years. It operates as a printer. I just opened a jpg photo and selected Cutepdf as the printer. It converted the photo to pdf with no issues. Strange folders for program and output. It works, about 30 JPG to one PDF in 4 sec. about 40Mb. I do look at it objectively. It's a software that charges you $30 for doing things most users already have - and have them for free. Quite a bold business plan, isn't it? As to complexity of PDF printing in Win10: you just invoke the very standard Print dialog - that's something even the most stupid user can do - and choose the PDF driver. I am almost certain this $30 software works in a similar way - you select its driver in the Print dialog. What's the benefit or even difference? Except for those 30 bucks? Sergio, I do look at it objectively. It's a software that charges you $30 for doing things most users already have - and have them for free. Quite a bold business plan, isn't it? As to complexity of PDF printing in Win10: you just invoke the very standard Print dialog - that's something even the most stupid user can do - and choose the PDF driver. I am almost certain this $30 software works in a similar way - you select its driver in the Print dialog. What's the benefit or even difference? Except for those 30 bucks? Martin, Quite differently... It converts images to PDF by writing the data to the PDF file directly, without any printer driver. That's why it is much faster than other programs. You can imagine if it packs with a printer driver, the file size should not be like that small, only 1+ MB.